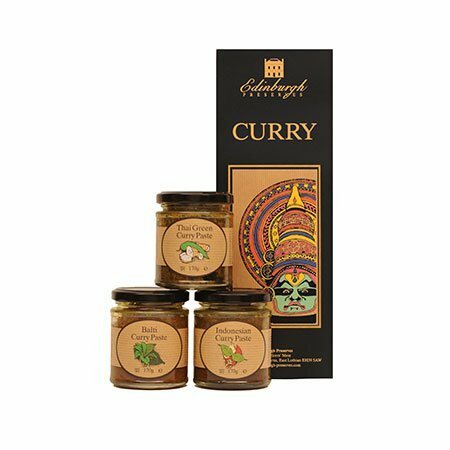 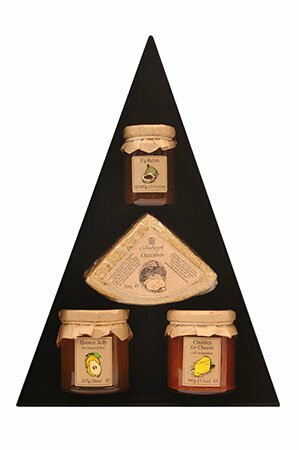 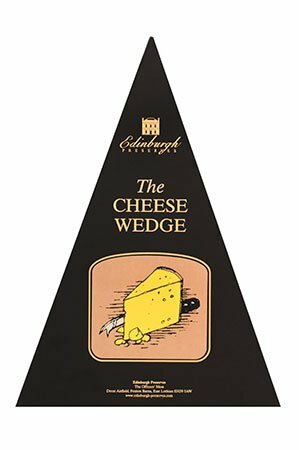 Three delicious condiments and fine Oatcakes for the Cheese lover in a Cheese Wedge Box. 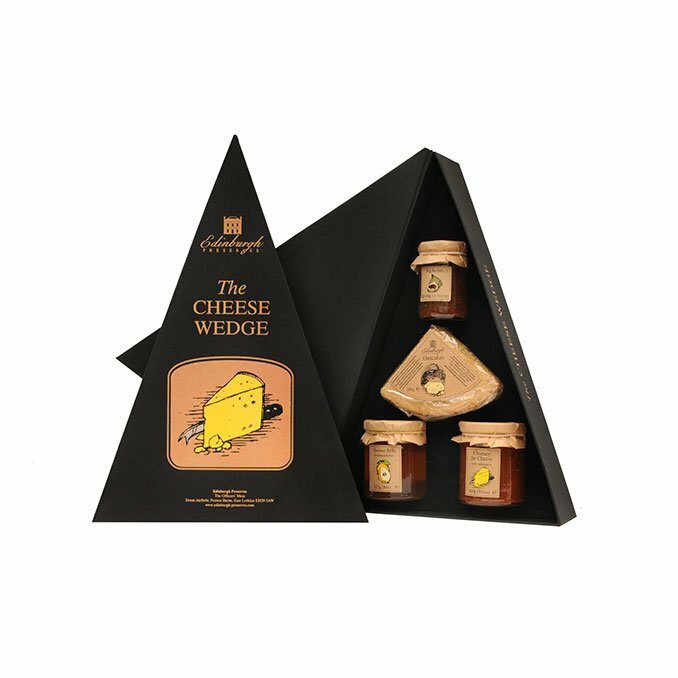 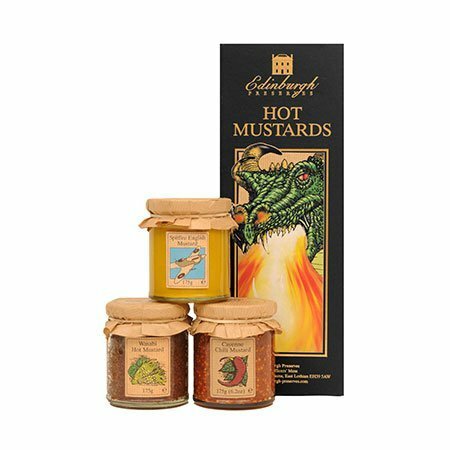 Our sweet & tangy Fig Relish is ideal with soft cheeses, the sweet Quince Jelly goes well with hard cheeses and our Chutney for Cheese is a great all rounder, all served up with our tasty Oatcakes from Aberdeen. 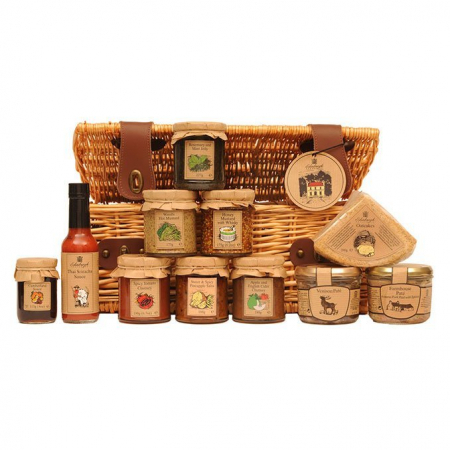 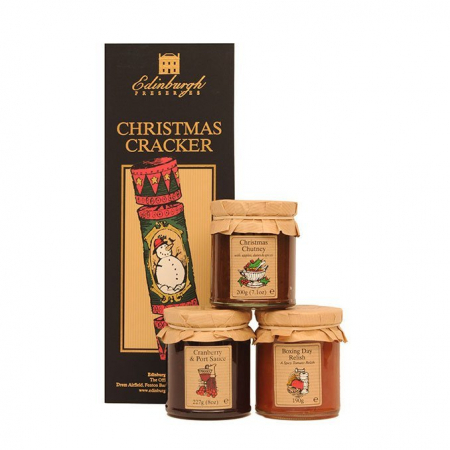 Contains Chutney for Cheese 200g, Quince Jelly 227g, Fig Relish 100g and Oatcakes 200g.